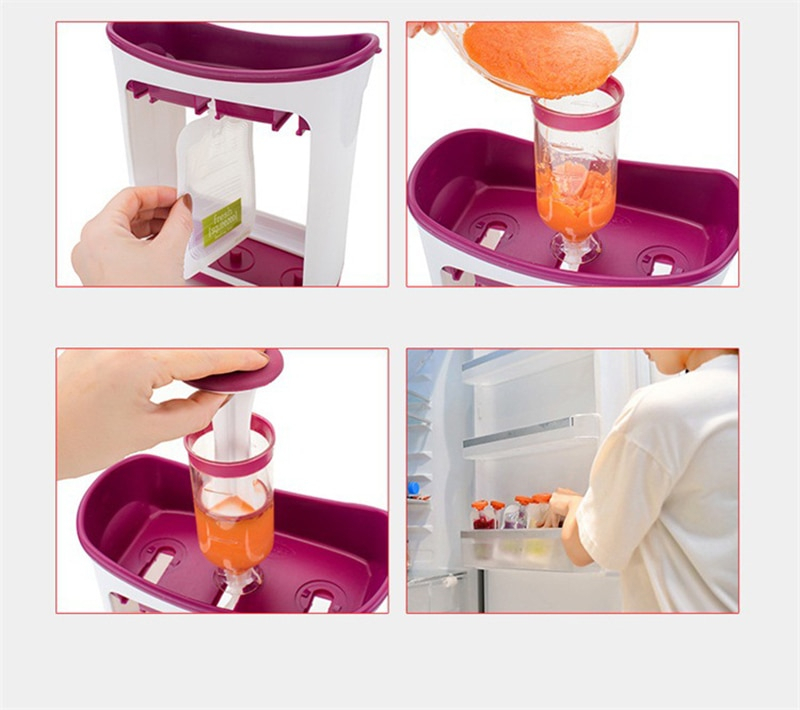 Make and store your own convenience food pouches with the Infantino Squeeze Station. It's quick and easy. Just pour in the purée and press down to fill. Perfect for homemade baby food and smoothies as well as store-bought apple sauce, yoghurt and purées. Enjoy now or store in the refrigerator or freezer for later. Create on the go your own baby food and snacks for your kids in just 4 easy steps!! Step 3: Press down to fill. Step 4: Squeeze it and enjoy or store it for later. It's just so easy to operate!! Click " Buy Now " To Secure Yours Today! Limited Items Available!